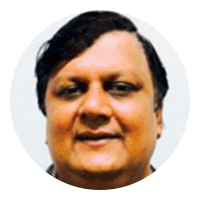 Param has over 23 years of experience in managing software development for the IT industry. Param is responsible for Digité’s Technology Services Division and handles complex technology solutions for strategic accounts. With a deep understanding of the product domain, technology issues and complimentary leadership skills, Param has been instrumental in solving challenging business problems for multiple Digité customers by applying the various Digité solutions to the specific needs of the customer. Prior to this, Param headed Digité’s Engineering team. Before Digité, Param has had successful stints with companies like Infosys, PCS and CMC where he managed projects for a number of Indian and multinational companies and delivered excellent results. Param holds a Bachelor’s degree from Indian Institute of Technology (IIT), Kharagpur.